Business attire refers to the clothing that employees wear to work. Depending on the workplace, various levels of the formality of business attire are expected and the norm. The dress codes range from traditional and formal to smart casual, business casual, and casual. Employees who want to fit well in their workplace, wear the standard clothing that is expected, and often dictated by a written dress code. But, you don’t need an official dress code to understand what constitutes appropriate business attire in your workplace. You can form a good idea of what is appropriate by just looking around you. Look at what your boss and other successful employees wear to work. Your observations will tell you about proper and expected business attire for your workplace. Your best success will come when you emulate the business attire of the favored employees. Draw attention to yourself by the quality and the value of the work you provide, not by the flashiness or fashion-mindedness of your business attire. You want to be recognized for your outstanding performance, not your high fashion. If you’re a new employee, ask when you receive the job offer what employees are expected to wear to work. Start out a new job by dressing just a little bit better than you believe is the norm in your new workplace to make a good first impression. First impressions are significant and you want yours to be memorable for its positive predictive message of employee excellence. 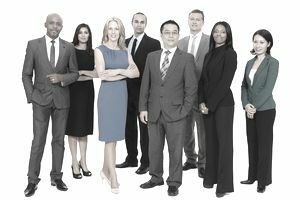 Workplace success guidebooks have suggested that employees need to dress for the job that they want to have, not the job they have. Even if there is no reliable data to validate this recommendation, it can't hurt to follow it. Notice that even in a casual business attire environment, executives usually dress slightly more formally, in business casual attire. But, do understand, the total impression that you make on your colleagues and bosses has implications for how you are viewed in your workplace—for good or for bad. How you dress is such a simple aspect of your self-presentation to modify that career success and advancement should be more important than your need to express your individual, quirky personality at work. Business attire is important because it sends messages about you—fairly or unfairly—to customers, clients, bosses, company executives, and co-workers. People do judge you by your appearance. Men: formal suit, tie, business shirt, upscale sports jackets with ties and a business shirt, leather dress shoes, appropriate conservative leather accessories such as briefcases, portfolios, and diaries. Men were encouraged to keep accessories like watches and cologne subtle. Women: skirt suits or pantsuits with formal business blouses or tops, stockings, closed toe and heel leather shoes, and appropriate business accessories including a briefcase, a leather folder for pads of paper, and a conservative pen. Women were encouraged to keep jewelry, makeup, and perfume subtle and elegant. Men: sports jacket with a tie, dress pants, button-down or traditional business shirt or nice turtleneck, dress shoes, and attractive accessories as described in traditional business attire. Women: jacket or dressy sweater, dress pants or skirt, blouse, shirt, top or turtleneck, hose, dress shoes, and accessories as described in traditional business attire. Women: nice pants or skirts, blouses, tops, sweaters, vests, occasionally an informal jacket, and attractive leather shoes and accessories. Men: casual pants and jeans, shirts with collars or not, sweaters, vests, sweatshirts, casual shoes including sandals and athletic wear. Women: casual pants, skirts, and jeans, blouses, tops, sweaters, vests, sweatshirts, casual shoes including sandals and athletic wear. The casual business attire dress code emphasizes what is inappropriate, which is helpful. By following these guidelines, you can look professional in your selected business attire in your workplace. Just understand the standard that is expected, dress according to these guidelines, and assemble a wardrobe that is attractive and comfortable. Avoid looks that you would wear to a party, the beach, an athletic competition, to do house cleaning, or to a club. Professional business attire doesn’t define an employee’s competence. But, it goes a long way in influencing the impression of your boss, coworkers, and customers about your capabilities and professionalism. Professional business attire is a must in any workplace.